By providing you with the most advanced and sophisticated dental treatments, we aim to ensure you achieve and maintain excellent oral health. With the proper dental care, common dental diseases including gum disease and tooth decay are preventable. Over the past few years numerous clinical studies have linked good dental health to good general health so it is extremely important to maintain a good oral health routine. Our preventative dental care treatments include regular examinations, fissure sealants and mouthguards. We can also provide fully customised dietary advice and oral health education. We encourage our patients to schedule regular dental examinations regardless of whether you have any visible dental problems. At Newcastle City dental we recommend you see our dentist every six months for a full dental examination and a professional cleaning. This simple routine takes less then an hour and is the the most effective way to maintain optimal dental health. During your examination, our dentist will closely examine your mouth, noting any potential changes since your last visit and detecting any problems that may require treatment or monitoring. By visiting us regularly, we can use advanced diagnostics including regular digital x-rays to detect even the smallest signs of problems at an early stage. Providing treatment at this stage is quicker, less invasive and more cost-effective. Your teeth will be meticulously cleaned, thoroughly removing hardened plaque or calculus leaving them looking and feeling sparkling fresh. This is an important part of your visit because it reduces your risk of tooth decay and gum disease. Regular oral cancer screenings complete your visit. What If I Have Tooth Decay? If you have a cavity in a tooth, we can provide restorative fillings made from advanced and durable materials. These fillings will restore strength and structure to the damaged tooth and will prevent further infection. Why Have Dietary Advice and Oral Hygiene Education? If you have recently had one or two fillings then you may benefit from customised dietary advice. Diet analysis allows us to provide helpful advice on how to improve your diet and which foods to choose for better dental health. Customised oral health education may be useful if you would like some information on how to improve your brushing and flossing routine or some advice on different tools to try. Most people brush and floss automatically and may routinely miss out certain areas. 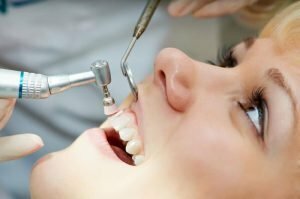 We can show you how to brush and floss thoroughly and effectively using routines and techniques that can easily be fitted into the busiest of lifestyles. Commonly used to protect newly erupted adult teeth in children, fissure sealants are also suitable for adults with healthy, cavity free back teeth. Fissure sealants consist of a thin layer of flowable composite resin or GIC that effectively seals the chewing areas of premolars and molars, creating a smooth easy to clean surface. Mouthguards are useful for anybody keen on contact and some noncontact sports. Every year thousands of people will injure or knock out their teeth during sporting activities. Over a lifetime, restorative dental care can be expensive and time-consuming. A well fitting custom-made mouthguard will protect your teeth during sports, minimising the risk of dental injuries. Our mouthguards are layered using advanced thermoplastic materials that are durable, odour free and taste free. They are custom-designed to provide additional protection to critical areas and are comfortable to wear.